ITARC Southeast 2016 is a two day conference experience featuring a full day of four master class training sessions, as well as a full day of dynamic speakers on innovation and strategy. 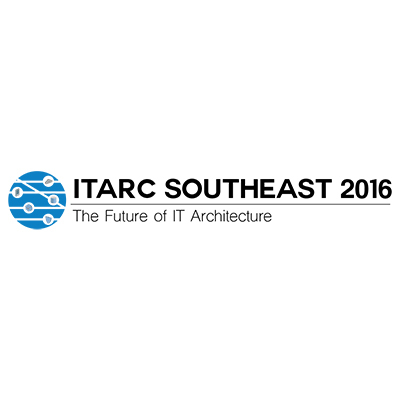 ITARC Southeast is the only true architecture conference around. Join us for two days of training, knowledge, innovation and networking. The Raleigh Convention Center is the Triangle area’s modern gathering place. An architectural wonder, it is surrounded by the exploding downtown Raleigh area including 5 star hotels, performing arts and world class eats. The Iasa Raleigh chapter was established in early 2015 by it’s founding partner, MetLife. Our goals are simple, but powerful: Bring the Triangle community together to exchange best practices, learn from each other, grow the individual practitioner and standardize the profession. The Iasa ITARC Southeast 2016 is a culmination of our efforts. We hope you join us. World class speakers: the program includes some of the leading international experts in the enterprise architecture field. Multiple conferences for the price of 1: you may download the video and content from all ITARC conferences by attending one. Professional certification: the opportunity to achieve professional certification as a Certified IT Architect (CITA). A variety of session formats rather than “Death by Powerpoint”: the programme includes keynote presentations, regular presentations, showcase sessions (best practice case studies), an EA “café”, panel discussions, lightning talks and half-day and full day workshops. Social programme and networking opportunities: including use of Luna Park attractions, a cocktail reception and an “all the fun of the fair” conference dinner. High quality programme: the presentations on the programme were selected on merit by an expert committee composed of representatives from the many global organizations. Vendor independent: unlike commercial conferences, sponsors cannot buy speaking slots on the programme (i.e. no “infomercials”) and sales oriented presentations are specifically excluded. Speaking slots are open to all EA practitioners via an open call for presentations rather than “invitation only” as in most commercial conferences.